I'll be traveling for Thanksgiving today, and I hope you all are blessed with a safe and wonderful time with all those you love. 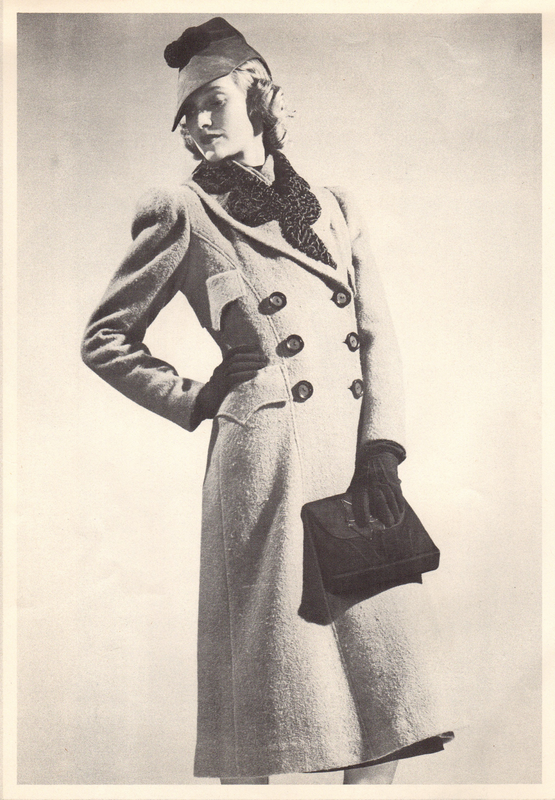 For my travels today, I wish I could wear this fabulous tweed coat from 1937 that hugs the figure with flair! It features princess seams, underarm pockets with shaped flaps, double-breasted closing, and a shawl collar accented with scalloped Persian lamb fur. And I'd wear the marvelous hat too, with its square visor, envelope crown, and Persian pom-poms! I wish I could order one of these!